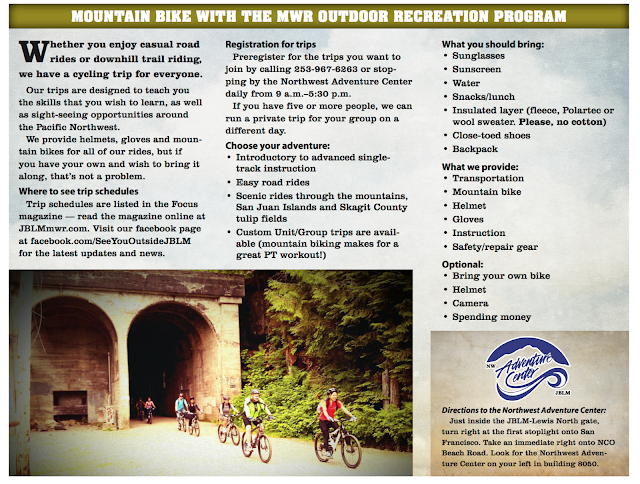 Joint Base Lewis-McChord Outdoor Recreation Adventure Programs and Trips . Due to the nature of the program, we are best reached by email. Have a blast in the great outdoors with us! Join the Northwest Adventure Center's programs, tours and classes. Sign up for single days and overnight whitewater rafting trips. See a schedule of our trips and register here! (If on mobile, click "To Full Site" then "All Trips") Never used WebTrac to register before? Read this step by step guide! Click here for a pdf of all of our upcoming trips! The JBLM Alpine Club was created to provide a community of like-minded individuals with passions for the outdoors. We offer beginner and intermediate courses in a variety of adventure activities like rock climbing, backcountry skiing, snowboarding and mountaineering! Some of our trips require prior skills in the discipline you're participating (you may sign up for a course to gain those skills). See our calendar page for future beginner courses. If you already have skill and experience, come in and take a challenge skill test (free) and be exempted form the courses. It's that easy! We provide the technical gear you need including boots and/or rock shoes. The only things you need to provide are backpacks, food, and clothing! To join Alpine Club, simply stop by the Northwest Adventure Center or Adventures Unlimited and speak to one of our cashiers. Membership is not required to attend any of our climbs or courses. The community meetings are once a month in which you are welcome to come ask questions and chat with other interested parties. All of our excursions are instruction-based and the cost is simply to cover equipment, transportation and instruction. Our trips/courses range from day trips to ski or climbing areas and for multi-day trips to destinations such as Smith Rock Oregon. Our mountaineering destinations include the majestic glaciated peaks Mount Baker, Mount Adams and Mount Stuart. We advertise four basic level mountain climbs for registration online. If you're interested in something not advertised, we also run private trips that can range from simple mountains in Washington to high-altitude peaks in Ecuador, Argentina and Europe. Our program is run by civilians hired specifically to reduce the cost to you who are very experienced and certified in multiple disciplines including remote medical emergency technician and FEMA search and rescue. We're here to help you get out safely and have an amazing time outside! Go to RecTrac to see prices, get more information and sign up for trips! See you outside! Join us for monthly free seminars touching on a wide range of introductory topics. Learn a new skill, ask some questions or figure out how to use your gear in a few hours with our instructors! Learn to tune skis: This introductory class teaches you how to take care of your skis and snowboards as winter approaches. Learn how to do a detailed hot wax to revamp your bases, fill in last season's core shot with P-Tex or sharpen your edges so they're ready for an epic winter! Winter travel clinic: If you're new to Washington weather, you'll be sure to complain about the amount of rain we get through the winter months. If you're a fan of water sports and or snow sports, embrace the rain! Rain in the valley is usually snow in the mountains. A heavy snowpack in the mountains brings large river flows in the spring and summer months. That stockpile of precipitation gives us our water in the summer to keep us green and satisfied until next winter. Don't hate the rain, learn how to thrive and survive in any condition. With that perspective and a few winter tips, you'll be ready to make the most of a Washington winter. Plan trips abroad: This introduction class will go over the basics of planning your dream trip abroad! Work with a travel enthusiast and international guide to learn how to plan an incredible experience anywhere in the world, from choosing housing locations, finding volunteer opportunities, interacting with local people, getting the most from your trip and to be the best "traveler" instead of "tourist" you can be. No equipment necessary. Women in the woods: The introductory class goes over being a woman in the woods! Work with a female adventure instructor to learn tips on being a powerful woman while backpacking, rock climbing or skiing in the backcountry. Learn what gear to use, what feminine hygiene products to pack and what it means to be all that is woman away from civilization. We want to give you some tried-and-tested tips to make it even more enjoyable. Exploring the wilderness is an incredibly empowering and life changing experience! No equipment necessary. Travel photography: The introductory class goes over the basics of being a photographer around the world! Work with an avid traveler and international photographer on what it means to take pictures of people, places and things outside your local environment. Learn how to respectfully capture the faces of those you interact with, perfectly shoot the scenic moments that make your experience special and how to care for your equipment while traveling. No equipment necessary. Leave-no-trace principles: The future of wilderness camping, hikes and other sustainable outdoor recreation depends on more people adopting what's known as leave-no-trace principles. Discuss the seven principles to provide a framework for outdoor recreation decision making. No equipment necessary. These courses are free and are an opportunity to come meet other outdoor enthusiasts, ask some questions and fall in love with a new passion! Ski across the Cascades this winter without any lift lines! Skiing in the backcountry involves a type of ski and binding designed to go up the mountains, as well as down. If you're a snowboarder, we have snowboards that split in half to allow you to climb the hill, then snowboard down. We have all of the equipment, including BCA float avalanche backpacks, shovels, probes, beacons, touring skis/boards, bindings/poles/skins and AT ski boots! It's a lot of work but completely worth the reward of untouched snow on powder days! If you're at least a blue-level skier at resorts and are wanting to get away from the chairlifts for some truly unforgettable turns, come to one of our guided courses this winter. Due to weather, the location is subject to change for safety. 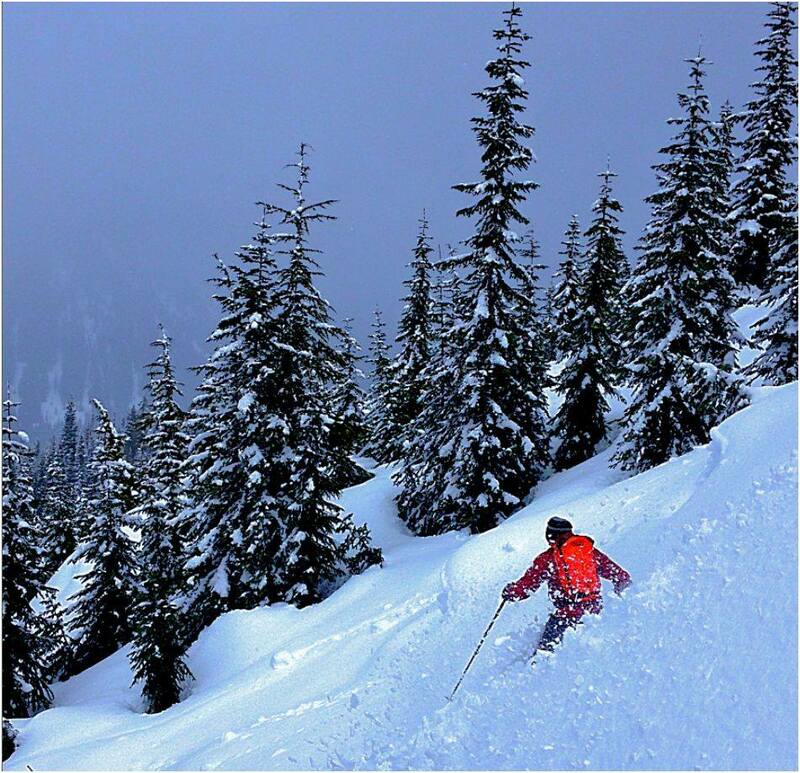 Backcountry skiing is growing in popularity and backcountry access is increasing. Don’t miss the opportunity to see amazing alpine wilderness and truly unforgettable skiing. Our trips provides all the gear you need to go safely into the backcountry. Washington offers an incredible variety of opportunities to bring out your bike, and we take full advantage of them all! Do anything from biking through tulip fields or an old train tunnel to picking up your skills in one of our many mountain bike courses. We offer introductory lessons, as well as longer-term skills trips. Join us all year long. Mountain biking Swan Creek or Duthy Hill: Experience the thrill of mountain biking! We'll start by addressing proper bike fit and making any necessary adjustments to your bike. Next we'll demonstrate riding techniques, including body and pedal position, shifting, braking, climbing, descending and navigating minor obstacles on the trail. We'll also go over important communication skills and mountain biking trail etiquette with the aim of keeping multi-use trails open and safe for everyone. And finally, we'll practice all these new skills on a great trail ride. Snoqualmie Tunnel: Bike along an old railroad grate that climbs gently through forested hillsides along the Snoqualmie Valley Trail. This trip begins in the historic town of Snoqualmie, where we'll follow the Snoqualmie River as we make our way to Tolt MacDonald Park and return to Snoqualmie. Along the way, we'll pass many farms, nature viewing areas and the historic 100-foot-tall, 400-foot-long Tolt River Bridge. Ladies Ruston bike: Take a bike out for a spin, exploring the beautiful boardwalk of Ruston Way in downtown Tacoma. Cruise by Chihuly glass art, restaurants, Point Defiance Park and other stunning landscapes on the nearly 10-mile path. Enjoy a picnic and potential some yoga in the park to loosen up your muscles after all that pedaling! Stop for lunch in the grass, bike back and end the day. RecTrac to see prices, get more information and sign up for trips! See you outside! If adrenaline is what you crave, you won't be disappointed! Head to the base of Mount St. Helens to bungee jump off one of the highest bungee bridges in the United States. Zipline over the canyon for an adventure in the tree on seven different zip lines. Bungee jumpers get two jumps and a T-shirt. Minimum weight: 90 lbs. If you haven't had the opportunity to explore the two mountain ranges surrounding us here in Tacoma, this is your chance! There are more hikes than you could do in one year in the Cascade and Olympic Mountains! Bring your dog and friends and let us show you the incredible biodiversity that is our state. Each hike will take you to new views, different plant and animal life, snowmelt lakes and sensationally serene landscapes. Destinations include Cape Flattery, Rattlesnake Ridge, Snow Lake, Mount Si, Mount Walker, Mount Rainier, Mount Saint Helens, Wallace Falls and Lake Anne. If the high-adrenaline adventure trips aren't really your speed but you still want to get out and explore some of the incredible sights in this state, then our leisure tours are for you! We offer a van and a personal driver to take you around Washington and beyond to see waterfalls and whales, drink wine and handcrafted beer or bike through the tulip fields! Contact us about getting a private tour to an event or activity with your friends and Family! Oregon waterfalls: Explore the greatest concentration of waterfalls in the continental United States as we travel along the Historic Columbia River Highway, which has an abundance of small waterfalls viewable from the road. We will stop at at least five major waterfalls to include the world-famous Multnomah Falls, which plunges more than 620 feet from its origins. We will stop in Hood River for lunch. Winery and cidery tour: Head to the Olympic Peninsula where each winery and cidery will entertain visitors with games and prizes while delighting their palates with match inspired appetizers and handcrafted artisan wines. We will visit 4-9 of the wineries if we have time! Must be 21. Price includes transportation, event admission and a variety of wine samples and a commemorative glass. Pedals and pints: Head to Woodinville and bike along the Sammamish River Trail to Marymoor Park and back. Finish the excursion with a tour and dinner. Whale watching: The world’s best opportunity to see wild orca whales is right here in the San Juan Islands. This amazing boat trip provides plenty of opportunities to see a variety of wildlife, and if none are coming out to say hi, the company will give you a free ticket to come back again! Explore Victoria BC: Hop on the ferry and spend the day exploring Victoria, B.C., by foot. Downtown Victoria has everything from antique stores to artisan chocolate shops. Now's the time to start thinking about those holiday gifts. You can also stop in at the Royal B.C. Museum or watch a thrilling IMAX film. Trip fee includes walk-on round-trip ferry ticket and transportation to and from Port Angeles. Bike the tulip fields: The beauty of hundreds of acres of tulips is awaiting you on this guided bike journey through the Annual Skagit Valley Tulip Festival. Tour the Rooengaarde gardens, view open fields and stop in the small tourist town of La Conner for a hearty lunch and to experience the festival from a local perspective. The fields might be muddy, and the weather might be chilly or rainy so be prepared and dress in layers with a waterproof jacket. Bike, helmet and gloves provided. Explore the beautiful Cascade Mountains by horseback with Cle Elum’s Flying Horseshoe Ranch. This dude ranch has been around since 1955, and they'll walk you through the steps it takes to groom, prepare and safely ride your horse. We'll cruise around the hillsides enjoying everything the area has to offer. Escape the hustle of the summer and get away with us and a new furry friend. Kayaking the waters of the Puget Sound is truly an adventure. We have a wide range of trips for a wide range of abilities, offering opportunities to paddle in a variety of currents and develop an appreciation for tidal influence. These are great trips to expand your skills while crossing eddy lines, enjoying marine life and exploring the islands of the sound and beyond! We have everything from monthly lessons to accommodate your growing skills in the pool and courses with your dog in the front seat to days camping and paddling around the San Juan Islands and a week-long trip from to Canada. We have everything to suit your ever curious kayaking needs, and the Pacific Northwest is one of the most diverse and sensational places to do it! Kayak Skills Class: There are five levels of our two-hour kayak skills class. Level 1: Learn proper paddling techniques and how to buddy rescue. Level 2: Learn edging maneuvers and self-rescue. Level 3: Master recovery techniques and muscle memory exercises for the roll. Level 4: Learn multi-day kayak trip prep and T-rescue. Level 5: Learn the kayak roll. Start at any time and master as many of the five levels as you would like! After the fifth level we can continue to perfect your roll. Kayak Tacoma-Narrows Bridge: The Tacoma Narrows is known for its tidal bottleneck effect causing strong/swift currents as the water tries to squeeze through the narrow one-mile-wide passage. This trip is perfect for paddlers to get a small taste at what influence tidal currents can have. We have planned out this trip so that we will be assisted by the currents from start to end as we make our way through the “river” and under the bridge on this 5-mile paddle from Point Defiance to Tittlow Beach. Prior experience is encouraged, but beginners may join the trip in a double kayak. Deception Pass Adventure: Kayaking the waters of Deception Pass is truly an adventure. Not a beginner paddle, the pass offers opportunities to paddle in strong currents and develop an appreciation for tidal influence. This is a great trip to expand your skills while paddling through strong currents and crossing eddy lines. This trip is geared towards instruction to advance your skills in difficult conditions. San Juan Island Day Trips: This 1-day kayaking trip feature fantastic views of the heart of the San Juan Islands. As we paddle along the East Side of San Juan Island, we enjoy the beauty of storm-sculpted evergreens and rocky cliffs covered in grasses and wildflowers. Dense kelp forests that sway in the currents and the steep cliff shores are sprinkled with purple sea stars and barnacles. Keep an eye out on this trip; there is a possibility of seeing Orca Whales, along with other oceanic wildlife. Kayak Ballard Locks: Officially known as the Hiram M. Chittenden Locks, they're used to transport boats large and small from the Puget Sound to Lake Union and Lake Washington. The Ballard Locks are one of Seattle’s most popular tourist attractions, but very few make it to visit the locks by water. Paddle from Lake Union to the Puget Sound, using the locks to drop us roughly 25 feet to our lunch spot at Commodore Park before we return through the locks to Lake Union. Some paddling experience is required. Kayak Cutts Island: Don’t miss this South Sound classic! Begin our trip in Carr Inlet and paddle to Cutts Island and then around raft island before returning to the van. This small island has a steep rock face on the south end, and there are many birds that make this island their home. The water in this area is known to be a little warmer than other places in the sound, so take a dip while we're enjoying lunch and exploring the island. Learn as you go San Juan Island overnight: The San Juan Island “Learn As You Go” Five-Day Kayak lets you see the best of the Pacific Northwest coastline and is designed for the adventurous paddler who has limited or basic kayaking experience and is eager to learn. As a group, we’ll explore the San Juan Islands’ public lands and pristine coastal environment. In addition to kayaking, there will be opportunities for hiking, beachcombing, exploring, socializing, photography and relaxing! Spend time this summer enjoying an exclusive island adventure while increasing your paddling and kayak trip planning skills. Kayak Hope Island: Join us for a nice paddle and walk around Hope Island’s beaches and tide pools. Hope Island offers visitors the chance to see wildlife such as bald eagles, harbor seals and starfish. Washington is filled with rivers accessible for whitewater rafting, ranging from beginner level to intermediate and advanced. Whatever experience you want, our river trips reliably deliver thrills! Our expert guides will be sure to take you on a trip you'll never forget right here in your backyard. Plus, our adventures are now expanding to rivers around the country! A single day trip down the Wenatchee is a laugh and adrenaline fest, but a five-day cruise down the Owyhee River is a spectacular experience you just can't miss! Owyhee five-day raft: Few people have had the pleasure of descending into the Owyhee River Canyon, one of the country’s secret gems of wilderness multi-day river rafting. The Wild and Scenic Rivers Act has protected more than 120 miles of the Owyhee River from development since 1984. Often called Oregon’s Grand Canyon, the Owyhee River contains thrilling class-III rapids in a deep desert canyon. Bighorn sheep and cougars wander through sagebrush at the base of sheer-walled volcanic canyon walls, nearly twice the height of the Washington Monument. Guides point out herds of antelope, birds of prey and other distinct wildlife who visit the river for sustenance. Add in stellar archaeological sites and hot springs, and this trip fulfills all the requirements for one of the world’s greatest river journeys. Hawaiian trappers were first sent into the canyon in 1820, never to return. The harsh environment and difficult rapids proved treacherous for future explorations, allowing the region to remain untouched for generations. While miners ventured into the deep layers of basalt, few others have experienced the intrigue of the Owyhee River wilderness. The only way to see the depths of the colorful Owyhee wilderness is on a multi-day raft trip down the river. Our trip begins from Leslie Gulch. Each day, we’ll drift deeper into the wilderness and deeper into a relaxing river routine. You'll calmly float along the river’s path in between the exciting class-III rapids scattered throughout the entire trip. A riverside lunch, prepared by your guides, will replenish energy levels for the afternoon. Pulling into a favorite campsite, your guides set up the kitchen with captivating scenery all around. In places like Jackson Creek, Chalk Basin and Green Dragon Canyon, you’ll find colorful side canyons, stunning waterfalls and scenic ridgelines with amazing views of the river below. Take a hike up a side creek, relax on the beach with a good book, or explore nearby hot springs for a dip in Mother Nature’s hot tub. Rock climbing in Washington offers thousands of varied routes from small cliffs to thousand-foot multi-pitch outings, comfy ledges, lofty summits and great views. There are great handholds with plenty of edges and holes to climb on. Outside of Washington, some warmer-weathered areas provide world-class climbing year-round. Don't miss these opportunities to get involved with this thrilling sport all over the world! Go to RecTrac to see prices, get more information and sign up for trips! Stand-Up paddleboarding is a quickly rising favorite activity. With the power to take you on the ocean, lakes, even down rivers, it is a versatile and exceptional activity for the whole family. In the past couple of years, people have crossed oceans and set records on a SUP, they have surfed giant waves and put on incredible competitions on standing river waves! 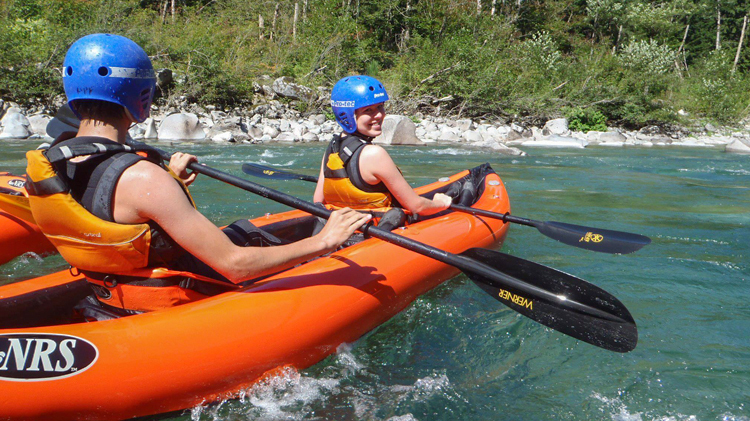 We offer everything from introductory lessons to thrilling adventures down some of our Washington rivers! Trips include: Learn to SUP, American Lake Sunset SUP, Alder Lake Winter SUP, Nisqually River SUP and Wenatchee River SUP. Snowshoeing involves walking through deep snow with a mechanism on your boots designed to keep you from sinking through! Hike your way through the views of this amazing state with us! The Pacific Northwest is a unique location, its mountains offering visitors tranquility in its vast forests, high alpine lakes and breathtaking scenery. Visit winter wonderlands of the Cascades and Olympic Mountains, everywhere from Mount St. Helens to Hurricane Ridge and everywhere in between. If you're curious about strapping on snowshoes and getting to some incredible sights, join us for all-inclusive adventures this winter! Destinations and trips include June Lake, Snow Lake, Rattlesnake Ridge, Hurricane Ridge, Moonlight Snowshoe, Carbon River, Salmon La Sac, Commonwealth Basin, Mount St. Helens Gentle Summit and any other trail the snow reaches! If you haven't had the opportunity to get on a snow machine, now's your chance! There are very few things like it. Head to Cle Elum and explore Sasse and Hex Mountains. We offer single and two-person sleds, allowing children or others interested in riding instead of driving to join in on the fun. If that isn't enough of an adrenaline rush for you, we also offer snowmobile-access backcountry skiing! Take the sleds to the top of Sasse and ski down, and enjoy a fun ski jour with a rope behind the snowmobile on your way back up! Our professional guides can help you plan a trip to any destination you can imagine! We provide the transportation for you in our vehicles, so you can relax and enjoy the journey along the way. Trips depart from the Northwest Adventure Center and are open to active duty personnel, retirees, DOD civilians, your Families and non-military guests. Our guides can assist you with your itinerary options, including departure and arrival times, rest stops, stops at multiple locations and lunch and/or dinner options while traveling. We can help create a budget that includes transportation fees, group event/venue discount tickets, parking fees, ferry and bridge tolls and other travel costs. Some destinations offer special midweek discounts and can be less congested for your group, allowing for more personal tours. • Seattle: Seattle Aquarium, Space Needle, Pike Place Market, Pioneer Square, Ride the Ducks, Woodland Park Zoo and Argosy cruises. • Mountains: Mount St. Helens National Volcanic Monument, Mount Rainier National Park, White Pass, Crystal Mountain, Stevens Pass and Snoqualmie Pass. Costs vary according to the number of participants, trip duration, mileage, tickets and other fees (the larger the group, the less each person pays). Full payment is required seven days prior to trip departure. The NAC accepts cash, checks and credit cards. If you cancel a trip outside 48 hours before trip departure, we'll refund the cost unless actual expenses have been made. A $10 processing fee is applied when you cancel a trip. MWR reserves the right to cancel a trip due to circumstances beyond our control.